In cooperation with the University of Milano-Bicocca, Birzeit University has been notified of the approval of a project entitled: “Interoperability of e-Governmental services”. The project is funded by the Italian government under the CooperLink program. The project aims to support mobility and exchange of researchers between both universities in order to facilitate joint research activities in the area of e-Governance and interoperability, in particular: service ontology engineering (i.e., the design of business process and service repositories and mashups of data and services), multilingual government ontologies, policies, and business rules. Also, the project aims to support student mobility and PhD student co-supervision, in addition to dissemination and outreaching activities, such as joint tutorials and course materials and the organization of national and international conferences. Dr. Jarrar explained that this project is not only important to strengthen the international research cooperation, especially with our neighbor EU countries, but the time of the project is also critical, as the e-Government in Palestine is being established and seen as a national priority. 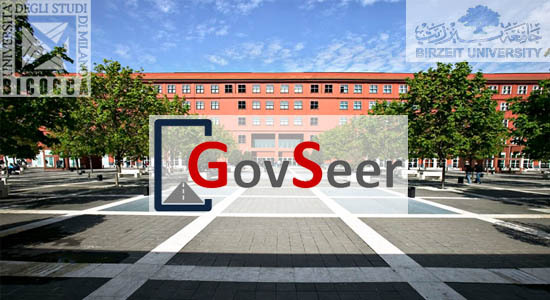 In addition, this project complements several ongoing projects, especially the e-Government academy, as it focuses on the interoperability of services, which is a complex component in any e-Government.